This page summarizes our studies on health, mortality and lifespan in Russia and the former Soviet Union. Ermakov, S.P., Antonyuk, V.V., Gavrilova, N.S., Evdokushkina, G.N. 1999. Factographic Automated Information Reference System (FAISS-"Potential"). In: K. Peter (ed.). Proceedings of the International Collaborative Effort on Automating Mortality Statistics, Volume 1. Hyattsville, MD: NCHS, 1999. DHHS Publication No. (PHS) 99-1252. 19-1-19-2. Ivanova A.E., Semyonova V.G., Gavrilova N.S., Evdokushkina G.N., Gavrilov L.A. Mortality trends: Role of particular age groups and causes of death in their shaping. Public Health and Disease Prevention [Obshch Zdor Profilac Zabol -- Общественное здоровье и профилактика заболеваний], 2004, 6: 3-9. 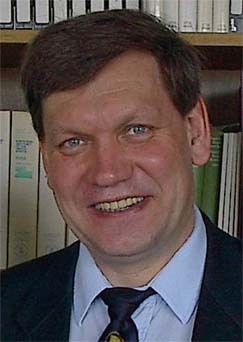 The study showed that the Russian mortality picture during the period of reforms had several features that significantly differed it from that in the Soviet period (1965-1984): first, a substantial "rejuvenation" of losses in life expectancies occurred at the expense of adolescent and young ages, whereas prior to the reforms mortality dynamics in these groups facilitated increase in life expectancies for women; second, deformation in the structure of causes of death occurred, which determine losses in life expectancies, evidencing marginalization of mortality, especially in young ages; third, during the period of reforms more negative tendencies in mortality in all ages over 15 years and from all causes are found in women. It is argued that the period of reforms became a stage of reverse development in epidemiological situation with increasing significance of public health problems relevant to the previous stages of the epidemiological transition. Semyonova V.G., Dubrovina E.V., Gavrilova N.S., Evdokushkina G.N., Gavrilov L.A. On the problems of trauma mortality in Russia: Kirov region case. Public Health and Disease Prevention [Obshch Zdor Profilac Zabol -- Общественное здоровье и профилактика заболеваний], 2004, 3: 3-10. The authors' hypothesis on underestimated traumatic mortality, especially at working ages, by masking predominantly mortality of the marginal populations under diagnoses of the IDC-10 class "Symptoms, signs and abnormal clinical and laboratory findings, not elsewhere classified" is discussed. Individual mortality data for 2003 in the Kirov region had been analyzed. Arguments supporting underestimated mortality due to injuries and poisoning in various regions of Russia with high mortality rates due to inaccurately identified conditions at working ages are provided. Semyonova V.G., Gavrilova N.S., Evdokushkina G.N., Gavrilov L.A. Data quality of medical statistics as a problem of modern Russian health care. Public Health and Disease Prevention [Obshch Zdor Profilac Zabol -- Общественное здоровье и профилактика заболеваний], 2004, 2: 11-18. Quality of the Russian mortality statistics data is evaluated. As markers it is offered to use death rates in the class "Symptoms, features and inexactly identified conditions" according to the ICD-9, or "Symptoms, features and deviations from the norm" according to the ICD-10, as well as "Injuries, not specified "according to the ICD-9, or "Injuries with indefinite intents "according to the ICD-10. Mortality from inexactly identified conditions in 1989­2000 increased 5.9-fold in men and 8.3-fold in women, while mortality from injuries (not specified) increased 2.9 and 2.5 times accordingly, thus being significantly higher than the total mortality rate growth. It is shown that deterioration of the data quality has led to incorrect evaluation of the health priorities and as a result to inadequate management decisions. Ivanova A.E., Semyonova V.G., Gavrilova N.S., Evdokushkina G.N., Dubrovina E.V., Gavrilov L.A. Russian mortality in 1965-2002 -- major problems and opportunities for decrease. Public Health and Disease Prevention [Obshch Zdor Profilac Zabol -- Общественное здоровье и профилактика заболеваний], 2004, 1: 20-30. Ivanova A.E., Semyonova V.G., Gavrilova N.S., Evdokushkina G.N., Gavrilov L.A., Devichenskaya M.N. Age patterns of mortality in the urban and rural population of Russia in the 90s years of the 20th century. Disease Prevention and Health Promotion [Obshch Zdor Profilac Zabol -- Общественное здоровье и профилактика заболеваний], 2003, 1: 17-26. Mortality rates characteristics of the Russian population in the main age groups -- infants under 1 year old (infant mortality), children of 1-14 years old (children's mortality), general population of 20-59 years old (mortality at working ages) and of the population older 60 years (mortality at the elderly ages) were analyzed. It was shown that, contrary to the common belief, the differences in mortality rates of urban and rural population are concentrated at children's ages, rather than working ages. Semyonova V.G., Ivanova A.E., Gavrilova N.S., Evdokushkina G.N., Gavrilov L.A., Devichenskaya M.N. Medico-demographic conditions in urban and rural areas – similarity and differences. Disease Prevention and Health Promotion [Obshch Zdor Profilac Zabol -- Общественное здоровье и профилактика заболеваний], 2002, 5: 8-14. Mortality rates in the urban and rural population of Russia in the 19990s were analyzed and compared. The study revealed: firstly, in the structure of mortality of rural population there was a noticeably higher proportion of causes of "unnatural" and violent death, as well as mainly exogenous causes, i.e. these were, to greater extent, both socially related causes and largely preventable ones at the current stage of public health development. Secondly, the mean age at death due to virtually all its causes was significantly younger in the rural population (both males and females) than in the urban one. At the same time the progression of unfavorable trends was much higher in the cities than in the villages. It is hypothesized that a pattern of mortality formed in the rural population late in the 1980s had become a domain of attraction to which the mortality of urban population was evolving during the 1990s. Semyonova V.G., Ivanova A.E., Gavrilova N.S., Evdokushkina G.N., Gavrilov L.A. Regional mortality variation as an indicator of health deterioration in the Russian population. Disease Prevention and Health Promotion [Obshch Zdor Profilac Zabol -- Общественное здоровье и профилактика заболеваний], 2002, 4: 9-14. The distribution of mortality was studied in the main groups of the population by Russia's regions in the late 1990s. It was shown to be drastically changed during the economic reforms, these changes most significantly affected regions with high-mortality rates. In the course of the reforms, the Russian European North and its rural residents in particular, suffered most greatly. Ivanova A.E., Semyonova V.G., Gavrilova N.S., Evdokushkina G.N., Gavrilov L.A., Demchenko T.A. Mortality in Russia in the 1990s and reserves of its reduction: Trends and forecasting. Disease Prevention and Health Promotion [Obshch Zdor Profilac Zabol -- Общественное здоровье и профилактика заболеваний], 2002, 3: 9-19. The authors studied the trends in mean life expectancy in Russia since 1964. They estimated the levels of excess mortality in the 1990s and reserves for mortality decline for different age groups and causes of death in the future, up to the year 2015. The relatively low level of mortality observed in year 1989 was proposed as a potentially achievable goal for future possible recovery of public health in Russia. The mortality that is greater than in 1989 may be considered as excessive and regarded as loss reduction reserves. In the 1990s, total mortality rates at younger ages of 0-19 years were even lower than in 1989, while mortality had increased dramatically at older, working ages. In the 1990s, the overall excess mortality amounted to deaths of over 3 million individuals, mostly due to cardiovascular diseases (1,238 thousand excess deaths), injuries and intoxication (1,047 thousand excess deaths), and unspecified conditions (625 thousand excess deaths). Two thirds of excess losses of lives were shown to be accounted for males, mostly at their working ages, among them, 32.2% of male deaths and 23.6% of female deaths could have been prevented. Semenova V.G., Gavrilova N.S., Varavikova Ye.A., Gavrilov L.A., Yevdokushkina G.N. Rise in violent death rates in Russia as a consequence of the economic crisis. Diseases Prevention and Health Promotion [Obshch Zdor Profilac Zabol -- Общественное здоровье и профилактика заболеваний], 2000, 4: 3-10. A contribution of violent causes of death to the unprecedented peace-time mortality increases in Russia in the 1990s was studied. Changes in mortality due to violence (suicides, murders, traffic casualties, and incidental alcohol intoxications) in 1994 to 1997 were examined using official statistics. For this period, the average life span of Russian males and females reduced by 2.4 and 1.2 years, respectively. Throughout this period, mortality rates due to injuries and intoxications were extremely high: from 1993, this cause of death for males occupied the second place in the pattern of mortality. The same was true for females in some regions in certain years. The highest mortality due to injuries and other causes of death was observed in 1994, but despite its beginning decline, mortality from the above causes fell short of the initial level by 1997 by showing 1.4–1.8-fold increases in 1991–1997. The age-specific pattern of mortality from injuries and intoxications was explored in males and females of Russia. By analyzing the hypotheses explaining the increase in injury and intoxication mortality rates, the authors have concluded that its determinant is the alcoholization of Russia’s population that is greatly caused by the economic crisis. Semenova V.G., Varavikova Ye.A., Gavrilova N.S., Evdokushkina G.N., Gavrilov L.A., Evolution of female mortality due to injuries and intoxications in some regions of Russia in the period of economic reforms. Diseases Prevention and Health Promotion [Obshch Zdor Profilac Zabol -- Общественное здоровье и профилактика заболеваний], 2000, 3: 29-31. The demographic consequences of economic reformation were studied in females, a one of the most vulnerable and unprotected groups of post-Soviet society. In 1989­1997, the average life-span expectancy of Russian females reduced by 1,5 years, which largely resulted from higher mortality due to violent causes of murders, suicides, accidental alcohol intoxication, and the so-called injuries (unspecified). The aim of the study was to examine processes occurring in the most unfavorable areas of the Russian Federation. It is concluded that the determining reason for higher mortality due to violent causes is the population’s alcoholization substantially caused by economic crises.